Surrounded by serene, picturesque landscaping, Jennings County residents enjoy a family-oriented community and idyllic surroundings with all the benefits of living near the major metropolitan areas of Indianapolis, Cincinnati, and Louisville. 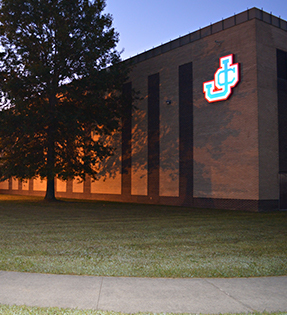 At Jennings County School Corporation, we are proud of our role in this community, and we are proud to serve as a partner with you in educating our youth. We endeavor to inspire our students to learn. Learning is a magical process, and the result is empowerment. Education opens doors, lets in light, and levels the playing field. At JCSC, we are a team comprised of students, teachers, parents, and community working in tandem to create a learning environment where students feel safe and receive the support they need to excel. With you, we grow stronger, together.